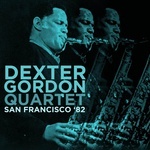 Dexter Gordon Quartet, live from Keystone Korner, San Francisco Bay Area, December 1982. This great saxophonist's long and remarkable career saw him perform alongside Lester Young, Lionel Hampton, Charlie Parker, Louis Armstrong, John Coltrane, and many others. After a long spell in Europe, he returned to the US in 1976, and was named DownBeat's Musician of the Year in 1978 and 1980. This superb set was broadcast on KCSM in 1982, and finds him on vintage form, even throwing in some festive standards. The entire KCSM-FM set is presented here, digitally remastered, with background notes and images. 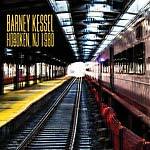 Hi Hat presents Barney Kessel, live from Hoboken, NJ 1980. In his twenties, this relentlessly inventive guitarist was topping magazine polls and recording with Charlie Parker, Oscar Peterson and others. 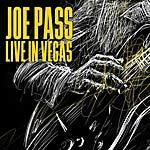 He went on to become one of America's top session guitarists, as well as making albums under his own name and touring widely, both on his own and with other renowned guitarists. The superb performance on Hoboken, NJ 1980 was broadcast on WBGO-FM radio, and finds him playing alongside the great Herb Ellis. It's presented here digitally remastered together with background notes and images. 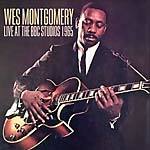 Personnel: Barney Kessel - guitar; Herb Ellis - guitar, track 3; Bob Magnuson - bass; Sherman Ferguson - drums. 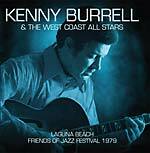 Hi Hat presents a newly released archival recording from Kenny Burrell & the West Coast All Stars, Laguna Beach - Friends Of Jazz Festival 1979. This superb set was performed at California's first annual Friends of Jazz Festival, and broadcast as part National Public Radio's Jazz Alive series. It captures veteran guitarist Kenny Burrell at the top of his game, tackling a selection of standards in typically breezy fashion, backed by the cream of the country's jazz talent. The entire National Public Radio broadcast is presented here, digitally remastered, with background notes and images. Personnel: Kenny Burrell - guitar; Jerome Richardson - sax, flute; Conte Candoli - trumpet; Thad Jones - flugelhorn; Frank Foster - tenor sax; Art Hillery - keyboards; Leroy Vinnegar - bass; Shelly Manne - drums. 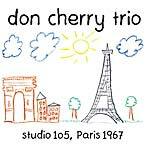 Don Cherry Trio, live from Studio 105, Maison de l'ORTF, Paris on March 18th, 1967. Having played with a who's who of cutting-edge American jazz musicians (including Ornette Coleman, Albert Ayler, Sonny Rollins, Archie Shepp, and Pharoah Sanders), by the mid-60s Don Cherry was spending increasing amounts of time in Europe. There he developed his concept of a symphony for improvisers, wherein form was more important than melody. This remarkable set was broadcast on French radio station ORTF, in Paris, March 1967, and is a fiery document of the trumpeter at his peak. The entire broadcast is presented here, digitally remastered, with background notes and images. Personnel: Don Cherry - cornet, piano, bamboo flute, gong; Karl Berger - vibes, marimba, piano, celeste, percussion; Jacques Thollot - drums, bells, timbales. 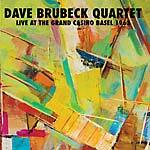 Hi Hat present a live set from the Dave Brubeck Quartet, Live At the Grand Casino Basel 1963. Dave Brubeck was already a living legend by the time this concert was performed for broadcast on Radio Suisse. Featuring his classic quartet with Paul Desmond on sax, it takes in material that had been in their repertoire for years, as well as newer material from their Time Changes (1963) and Jazz Impressions Of Japan (1964) albums. Versatile, smooth, and powerful, the entire Radio Suisse broadcast is presented here, digitally remastered, with background notes and images. Personnel: Dave Brubeck - piano; Paul Desmond - alto saxophone; Eugene Wright - bass; Joe Morello - drums. 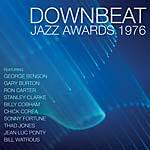 Hi Hat present Downbeat Jazz Awards 1976, a compilation of performances recorded live in Chicago in 1976. Award winners of DownBeat magazine's annual poll assembled to present a concert in Chicago, the city in which the publication was founded and based. The performances on this disc were simulcast on KZEW-FM radio and TV Channel 13, and feature some of the top jazz stars of the mid-1970s, including George Benson, Stanley Clarke, Chick Corea, and Gary Burton. Features Sonny Fortune, Bill Watrous, and Thad Jones. 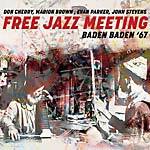 Hi Hat presents Free Jazz Meeting Baden Baden '67, capturing a set of live performances from 1967. Since 1966, the Free Jazz Meeting (now known as the SWR NewJazz Meeting) has taken place annually in Baden-Baden, Germany. This disc presents performances that were broadcast in Germany from the second of these events, which took place from December 16 through December 18, 1967. The four pieces feature different lineups of major free jazz musicians from several countries, including such top players as Don Cherry, Marion Brown, Evan Parker, and John Stevens. Featuring Jeanne Lee, Albert Mangelsdorff, Gunter Hampel, Buschi Niebergall, Pierre Courbois, Peter Kowald, and Sven-Åke Johansson. 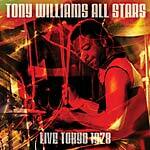 Tony Williams All Stars, live from the Denen Coliseum, Tokyo on June 27th, 1978. For a 1978 tour of Japan, Tony Williams All Stars featured a truly all-star lineup. The legendary drummer led a band with guitarist Ronnie Montrose, keyboardist Brian Auger, and future Huey Lewis & the News bassist, Mario Cipollina. Originally broadcast on NHK Radio, the music presented here is from their June 27, 1978 show in Tokyo's Denen Coliseum, featuring material originally heard on albums by Williams, Montrose, and Auger, as well as a guest appearance by drummer Billy Cobham. The entire broadcast is presented here, digitally remastered, with background liners. Personnel: Tony Williams - drums; Ronnie Montrose - guitar; Brian Auger - keyboards; Mario Cipollina - bass; Billy Cobham - drums. Eric Dolphy Septet, with Donald Byrd, live from the Qui Péche club, Paris on June 11th, 1964. Just a few weeks before his death, Eric Dolphy performed a concert at the Le Chat Qui Péche club in Paris on June 11, 1964, broadcast on French radio station France Musique, with a septet including fellow jazz luminary Donald Byrd on trumpet. The six tracks on this disc include selections from his albums Outward Bound (1960), Out There (1961), and Far Cry (1962), as well as a version of John Coltrane's "Naima". 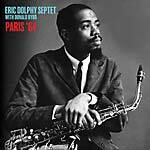 Personnel: Eric Dolphy - alto saxophone, bass, clarinet, flute; Donald Byrd - trumpet; Nathan Davis - tenor saxophone; Jack Diéval - piano; Jacques Hess - bass; Franco Manzecchi - drums; Jacky Bambou - congas. The entire broadcast is presented here, digitally remastered, with background liners. Jackie McLean Quartet, live from the University of Quebec, Canada on July 3rd, 1988. The performances on this disc were broadcast on CBC/CBOF-FM in Montreal at the University of Quebec on July 3, 1988. 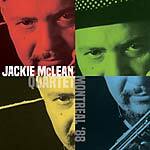 This disc features jazz alto sax great Jackie McLean leading a quartet as he was getting ready to make more albums after a relatively quiet decade on the recording front. Featured are four songs he'd cut for his Dynasty album four months later (1990), as well as his composition "Minor March", which he first recorded with Miles Davis and Milt Jackson in the mid-1950s. The entire broadcast is presented here, digitally remastered, with background liners. John Handy with his Rainbow Band, live at the San Francisco Great American Music Hall, July 27th, 1979. 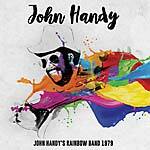 At the end of the 1970s, jazz saxophonist John Handy helmed an adventurous plunge into world fusion with his Rainbow Band. Featuring Indian music virtuosos Ali Akbar Khan on sarod, Zakir Hussain on percussion, and L. Subramanian on violin, it also included Brazilian guitarist Bola Sete. This San Francisco Great American Music Hall performance from July 27, 1979, was originally broadcast on National Public Radio's "Jazz Alive" program and features a 54-minute performance of a work also titled "Rainbow", composed by Khan specifically for this broadcast. The entire broadcast is presented here, digitally remastered, and includes background liners. 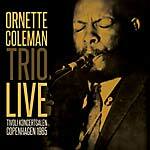 Ornette Coleman Trio, live from Tivoli Koncertsalen, Copenhagen, Denmark on November 30th, 1965. Ornette Coleman formed a new trio with bassist David Izenzon and drummer Charles Moffett in October 1961. As the decade progressed, they expanded their musical palette to include trumpet and violin -- not instruments Coleman was experienced on -- and divided audiences and critics with their fiercely uncompromising music. Originally broadcast on Danmarks Radio, this remarkable set predates the recording of his classic At The "Golden Circle" Stockholm (1965) album by only a few days. The entire broadcast is presented here, digitally remastered, with background notes and images. 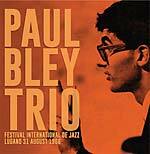 Paul Bley Trio, live at the International Jazz Festival, Lugano, Switzerland August 31st, 1966. The young Paul Bley earned his spurs playing with legends including Charles Mingus, Art Blakey, Chet Baker, Jimmy Giuffre, Ornette Coleman, and Bill Evans. As the 1960s progressed, he increasingly embraced the avant-garde, with arguably his greatest successes coming in the piano trio format. Originally broadcast on the RSI Rete Due radio station in the summer of 1966, this superb set included material by Bley, his wife Carla, Annette Peacock, and Sonny Rollins. The entire broadcast, digitally remastered, is presented here with background notes and images. Personnel: Paul Bley - piano; Mark Levinson - bass; Barry Altschul - drums. 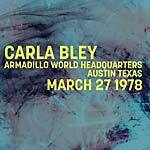 Carla Bley, live at the Armadillo World Headquarters, Austin, Texas on March 27th, 1978. As a founder and leading light of the Jazz Composers' Orchestra, as well as being a superb keyboardist, Carla Bley was at the cutting-edge of American jazz in the 1970s. Originally broadcast on WBUR 90.9 FM, this remarkable performance is a vital document of her band on its first North American tour and features renowned players such as Mike Mantler and Gary Windo. The entire broadcast is presented here, digitally remastered, together with background notes and images. Personnel: Carla Bley - piano, organ; Mike Mantler - trumpet; Gary Windo - sax; Alan Braufman - sax; John Clark - French horn; George Lewis - trombone; Bob Stewart - tuba; Blue Gene Tyranny - keyboards; Patty Price - bass; Phillip Wilson - drums. 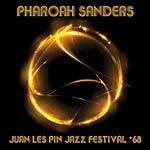 Pharoah Sanders, live from the Juan Les Pins Jazz Festival, Antibes, France on July 20th, 1968. Having made his name playing with John Coltrane as of 1965, Pharoah Sanders soon came to be recognized as one of the most innovative jazz players of his generation. Having formed his own quartet, he was invited to perform at the Antibes Jazz Festival in Juan-les-Pins, France in July 1968. Originally broadcast on French radio station WDR3, this superb recording captures a great musician in his early prime. Includes the entire WDR3-FM radio broadcast is presented here, digitally remastered, with background notes and images. Personnel: Pharoah Sanders - tenor saxophone, percussion; Lonnie Liston Smith - piano; Norman "Sirone" Jones - bass; Majeed Shabazz - drums. 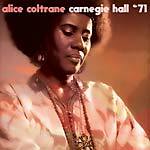 Alice Coltrane, live at Carnegie Hall, New York on February 21st, 1971. On Sunday, February 21st, 1971, a benefit was held in New York's Carnegie Hall for Swami Satchidanda's Integral Yoga Institute, featuring Laura Nyro, the New Rascals, and Alice Coltrane's All-Stars. The latter band was a remarkable coming-together of talent, with Lady Trane joined by legends such as Pharoah Sanders, Archie Shepp, and Jimmy Garrison on stupendous form (with a little assistance from members of the Yoga Institute). The astounding performance of John Coltrane's "Africa" on this set, finds them improvising thrillingly. Includes the entire WQXR-FM broadcast, digitally remastered and accompanied by background notes and images. Also features: Kumar Kramer (harmonium), Jimmy Garrison (bass), Cecil McBee (bass), Clifford Jarvis (drums), and Ed Blackwell (drums). 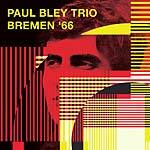 Paul Bley Trio, live from Lila Eule, Bremen, Germany on September 27th, 1966. The young Paul Bley earned his spurs playing with legends including Charles Mingus, Art Blakey, Chet Baker, Jimmy Giuffre, Ornette Coleman, and Bill Evans. As the 1960s progressed, he increasingly embraced the avant-garde, with arguably his greatest successes coming in the piano trio format. Originally broadcast on Nordewestradio in the autumn of 1966, and featuring material by Bley and his wife Carla, this fiery set typifies his approach at the time. Includes the entire Nordewestradio FM Broadcast, digitally remastered and accompanied by background notes and images. Personnel: Paul Bley - piano; Mark Levinson - bass; Barry Altschul - drums. Live Under The Sky Festival of 1986 and 1987, at Yomiuri-Land Theatre East, Tokyo, Japan. From 1977 to 1992, Live Under the Sky was one of the top jazz festivals in Japan, presenting legends from around the world. 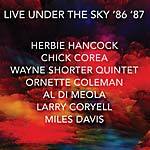 This two-disc set features performances from the 1986 and 1987 festivals at Yomiuri-Land Theatre East, Tokyo, Japan, broadcast on NHK BS Channel 1, including selections from Herbie Hancock, Chick Corea, Ornette Coleman & Prime Time Band, Wayne Shorter Quartet, Al Di Meola, Larry Coryell, and Miles Davis. Also features The Chick Corea Elektric Band and Herbie Hancock Quartet. Digitally remastered for greatly enhanced sound quality, this set includes background liners. 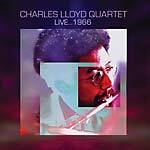 Charles Lloyd Quartet, live in 1966. Having burst onto the national scene with Chico Hamilton's band in 1960, Memphis-born Charles Lloyd spent two years with Cannonball Adderley before forming his own quartet in 1965, featuring the young Keith Jarrett, Cecil McBee, and Jack DeJohnette. By turns melodic and dissonant, the relentlessly experimental and innovative music they made is typified on these three superb sets, originally broadcast on P2 and WDR3 radio, and presented here together with background notes and images. Features Orchestra Kurt Edelhagen. 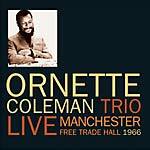 Ornette Coleman Trio, live at the Manchester Free Trade Hall on May 14th, 1966. Ornette Coleman formed a new trio with bassist David Izenzon and drummer Charles Moffett in October 1961. As the decade progressed, they expanded their musical palette to include trumpet and violin -- not instruments Coleman was experienced on -- and divided audiences and critics with their fiercely uncompromising music. Originally broadcast on FM radio during a short British tour, this remarkable set finds them on typically confrontational form. Digitally remasters, the broadcast is presented here with background notes and images. 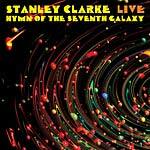 Stanley Clarke, live at Denver's Rainbow Theater on October 24th, 1979. By the end of the 1970s, Stanley Clarke was not only one of jazz's most influential bass players, but also one of its most popular artists. These performances from his show at Denver's Rainbow Theater on October 24th, 1979, broadcast on KBCO-FM, features material from five of his '70s studio albums, including his signature tune "School Days". Also in the set is a version of Return To Forever's "Hymn Of The Seventh Galaxy", as well as his interpretation of fellow jazz master bassist Charles Mingus's "Goodbye Pork Pie Hat". The entire KBCO-FM radio broadcast is presented here, digitally remastered. 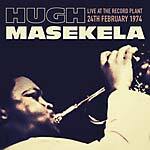 Hugh Masakela, live at The Record Plant on February, 24th 1974. This legendary South African-born trumpeter became a major star when he appeared at the Monterey Pop Festival in June 1967, and he had a smash hit with "Grazing In The Grass" the following year. This superb set was originally broadcast on KSAN-FM, and captures him at his infectious best. The entire broadcast is presented here, digitally remastered, with background notes and images.